Please contact me regarding the 2012 Freightliner 114 SD - Stock# CHBP1953 for sale at TruckerToTrucker.com. Take a look at this 2012 Freightliner 114 SD. It is Stock# CHBP1953 at TruckerToTrucker.com. 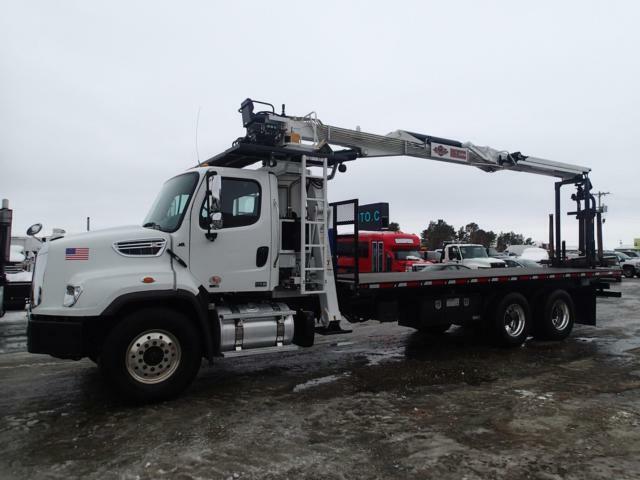 2012 FREIGHTLINER 114SD W/ IMT 16000 SERIES 3 WALL BOARD CRANE - REMOTE CONTROL OPTION - AIR TRAILER OPTION - THREE STAGE ENGINE BRAKE - FULL LOCKING REAR END - LIKE NEW.